Okay folks I am feeling a bit better now that my hair is washed and drying. I let it prepoo for a little over 2 hours while I watched tv, graded papers, made dinner and then ate. I was being super delicate at first and realized if more hair was going to come out I just needed to get over that. 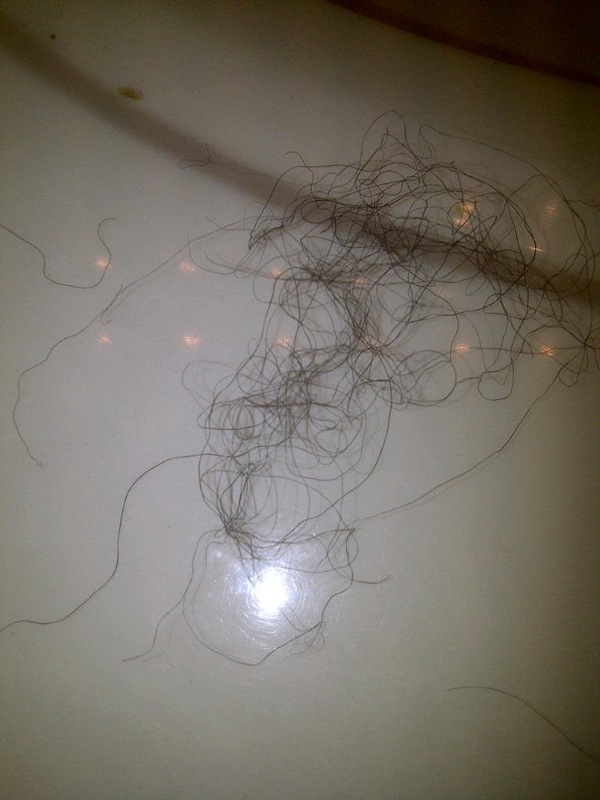 I was surprised that I maybe lost a strand or two in the shower. I deep conditioned for about 45 minutes and then got back in the shower to rinse everything out. 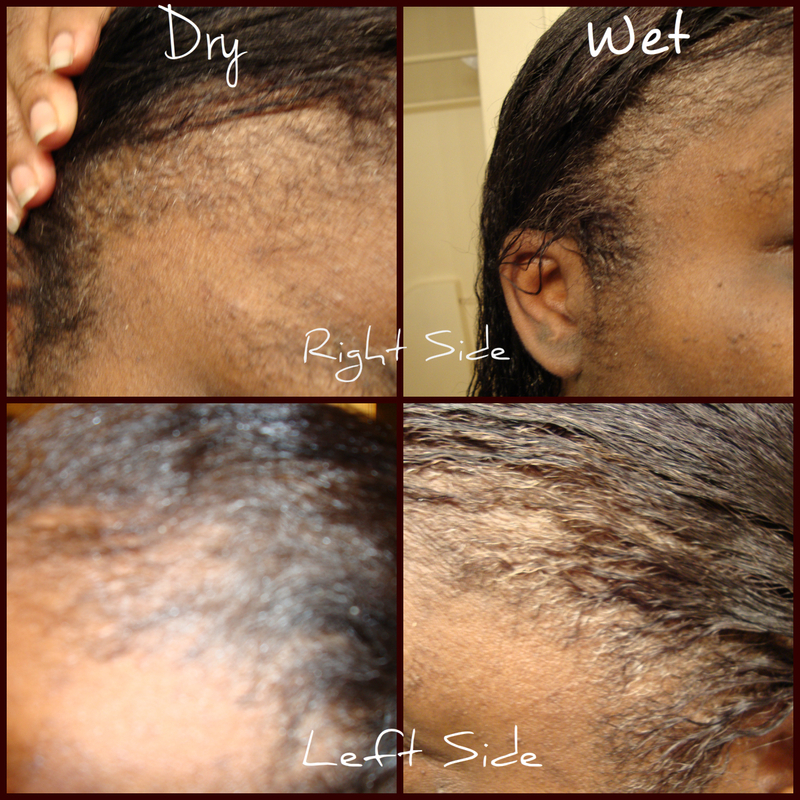 I skipped the cold water rinse after reading about some porosity issues and cold water may not helping with low porosity hair. I air dried for a while, till all but my roots were mostly dry and then added all my leave ins. I detangled even though there wasn't much to do with that. This is what came out of all three combs. Not a lot and considering my freaking out about the edge situation this made me happy. The next two photos are comparisons of the edges wet and dry and a length check comparison from January to March. Still at the line after the ends were cleaned up and my patch got a good dose of JBCO, Gro-Aut oil and the serum I bought a few weeks ago. I'll be doing it at least every other day on that section. The area looks slightly better wet and this may sound crazy but it feels like stubble right now. Like the hair is there it's just really fine and really short. And what I think caused it, the hair dye, is now officially pointless. My hair is black, brown, gray and a tinge or super dark purple as a result of a relaxer and one good wash. I made these photos with pixlr.com again but I used the express with templates instead of winging it on my own. Was SO much better than trying to do it all on my own and lining things up without getting frustrated. 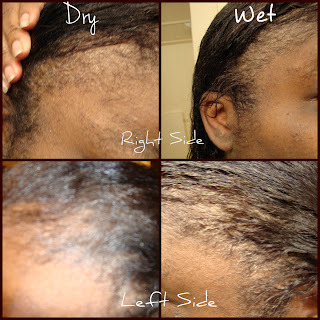 I hope your oil mix works to get rid of the patch so you can be happy again with your hair. I hope it will too but if the worst thing that happens in two years of hair care is a thin edge I'll take that one. 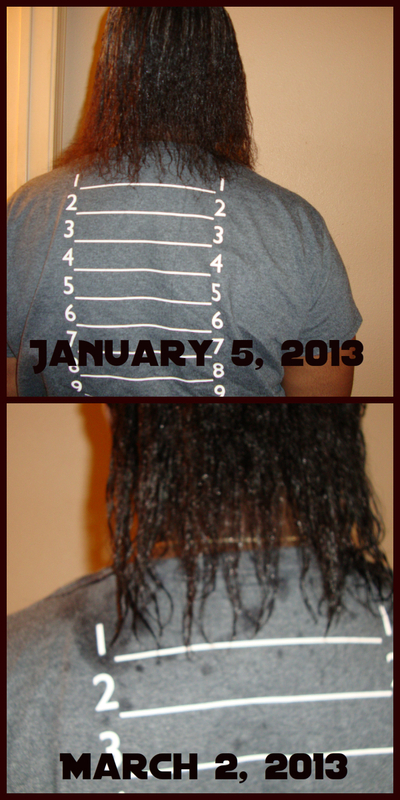 The length is still retaining and the rest of my hair feels pretty good. Glad you're optimistic still. It doesn't look completely bald so that's good. My left edges were thinning when I wrapped my hair. When I stopped wrapping it thickened back up. I'm sure you'll get it back to where you want it. Figure out what may be causing that side to break. I think I put more pressure on that side and up until a few days ago I was always wrapping to that side and tying down my scarf right there. I knew the edges were a little weak after the dye job and flat iron. If I had skipped the dye it may have just broken a bit more but I think the combination was just too much. And after way too much traveling and periodic pity parties about other things I'm gonna try to maintain optimism here. When I started this and got my first length check shirt it was mostly because I wanted to see if I could get it to be healthy and grow. I'm only at line 1 now but that's way longer than it's been in forever and I'm willing to nurse that thin spot back to health.